By now, it’s been well established that fluoride is not your friend. It’s a neurotoxic substance that is under constant scrutiny, and its presence in our lives has been heavily debated. Because it is found in most drinking water, toothpastes and other products, it is very difficult to avoid. Despite popular claims, fluoride really doesn’t offer much benefit to anyone when it is added to these products, and has many negative effects on human health. Brain damage is perhaps one of the most concerning aspects surrounding fluoride consumption. 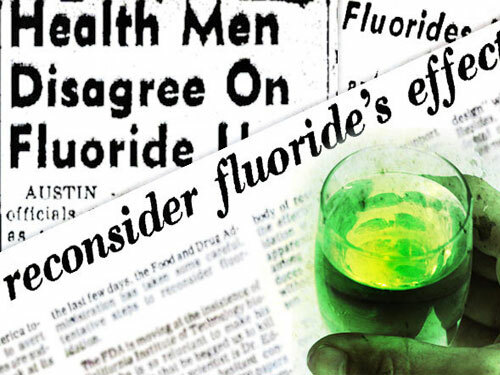 In 2014, the journal Lancet Neurology declared that fluoride is a developmental neurotoxin. A meta-analysis of 27 cross-sectional studies was lead by Dr. Philippe Grandjean of the Harvard School of Public Health, and Dr. Philip Landrigan of the Icahn School of Medicine. The study analyzed the effects fluoridation had on children across the world, though most were from China. What the researchers found was shocking. Exposure to elevated levels of fluoridation led to a decrease in IQ of about seven points, on average. Most of the water supplies in the studies had fluoride levels that would be permissible by current EPA standards, of less than 4mg per liter. The effects of exposure to a neurotoxin such as fluoride are far-reaching, and often permanent. Autism, learning disabilities and other cognitive impairments that are generally not treatable are often the effects of such exposure. Studies have also suggested that consumption of fluoride can lead to the calcification of the pineal gland. The pineal gland is found in the brain, and is essential for a number of bodily functions. The neurotoxic effects of fluoride are of utmost concern to many people, especially given that exposure is nearly unavoidable. Fortunately, however, there are natural ways to help protect your brain – even against neurotoxic agents like fluoride. One of the best natural neuroprotective compounds available is curcumin. Curcumin is one of the active components of turmeric, a popular spice used in a variety of cuisines that’s also known for its medicinal properties. Curcumin is the compound which gives turmeric its amazing healing powers. A study recently published in Pharmacognosy Magazine revealed that curcumin could help to mitigate the neurotoxic effects of fluoride. Researchers from the Sukhadia University in India led the study and sought to determine what, if any, neuroprotective benefits curcumin might offer against the damaging effects of fluoride. In studies of laboratory animals that were exposed to fluoride, those who received curcumin exhibited less oxidative neurological damage than those that did not get the supplement. This suggests that curcumin can help protect the brain against fluoride-related damage. The U.S. presidential election just keeps getting more fake as it goes on. Yes, it’s bread and circus time again in America! But this time around the rulers are putting on an entertainment show that has lost its ability to convince and persuade. It’s just too damn fake! We know the U.S. and many other Western “democracies” are rigged one-party states, in which all the major candidates are controlled, bribed and/or blackmailed by the same shadow players. We know that U.S. presidents are selected, not elected. And in the 2016 U.S. presidential election, we’ve witnessed all sorts of fakery right from the start. Hillary and her backers blatantly rigged the Democratic Primaries in several states (Iowa, Nevada, Arizona and California just to name a few) and colluded with the DNC board, led by the disgraced Wasserman-Schultz, to keep Bernie Sanders out of the nomination. Then, at the DNC convention, Hillary pulled out all the stops with a grand display of fakery, including paying people to sit there to hold her signs, playing white noise machines to drown out protests, having DNC officials turn off the lights above Bernie supporters to plunge them into darkness, and all sorts of other dirty tricks… which we’ll look at in detail. The fakery continued after Clinton’s nomination coronation as Queen at the DNC. Ever since the topic of Hillary’s health has come to light, she has been in damage control mode, trying to convince a skeptical public she is well enough for the office of President, despite her coughing fits, bouts of dizziness and confusion, struggling to walk up stairs, tripping and falling, bouts of inappropriate laughter, wild crossed-eyed looks and her public seizures (see The Real Hillary Clinton for more info). Meanwhile, career criminal Hillary continues her campaign without conducting press conferences, which is highly unusual for a U.S. presidential candidate. Zero Hedge reports it has been 273 days (as at September 3rd) since her last press conference! Clearly we can deduce from this that Hillary is scared of being asked some tough questions, given how flooded she is with scandal after scandal (for example, Clinton Foundation fraud and corruption, deliberate email deletions, foreign bribery, pay-to-play shenanigans, the growing Clinton Body Count, etc.). There’s nothing open and transparent about her. As a result, she’s barely holding on, keeping quiet and apparently hoping Trump will shoot himself in the foot some more between now and November 8th. But in some hospitals the figure was far higher. In Milton Keynes the death rate for lung cancer treatment was 50.9 per cent, although it was based on a very small number of patients. At Lancashire Teaching Hospitals the 30 day mortality rate was 28 per cent for palliative chemotherapy for lung cancer, which is given when a cure is not expected and treatment given to alleviate symptoms. Similarly, around one in five people who underwent palliative care for breast cancer at Cambridge University Hospitals died from their treatment. Public Health England (PHE), said it had contacted the hospitals concerned to ask them to review practices. 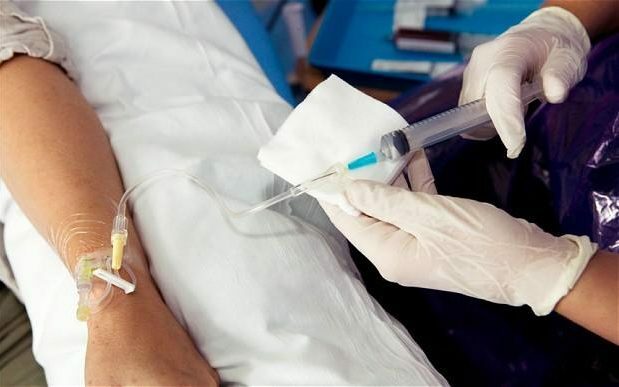 Dr Jem Rashbass, Cancer Lead for PHE, said: “Chemotherapy is a vital part of cancer treatment and is a large reason behind the improved survival rates over last four decades.